Every year, my niece asks me to help her trap a leprechaun. I helped her decorate a trap the first year. I will admit the whole thing confused me. Growing up, we never tried to trap little fictional holiday figures, but she was too excited about it for me not to help. Last year, I decided to write her a letter from a leprechaun that escaped her trap. I named him Seamus O’Malley and the letter included fun “leprechauny” language with Irish expressions. I also included some information about my family’s Irish heritage. Of course, the folklore and traditions we celebrate on St. Paddy’s Day are strictly American. Nonetheless, I always enjoyed the holiday and a chance to celebrate my mother’s roots. 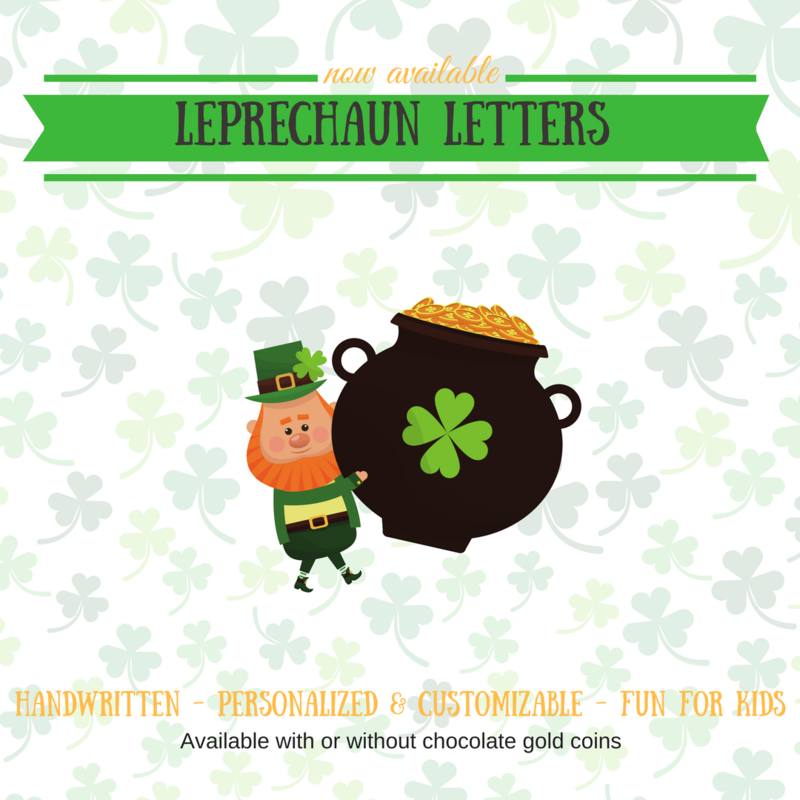 As part of my new side business, The Merry Workshop, which I started by writing Santa letters this past holiday season, I am now offering leprechaun letters. Letters come handwritten in a calligraphic font with personalized information about the recipient.